It’s not easy, you need a lot discipline. Trust me! Yes, it is hard! But I love the freedom of making my own hours. I get up, do my morning routine. Change into work clothes. Then I go to work. With that, I was thinking that instead of stating the basic tools that like computer, internet, and a dedicated work space as I wrote in a earlier post titled: “Essential Virtual Office Tools”. I thought I would focus on the things I use today that I could not live without. Some of the things listed may be obvious depending on your role and responsibilities are with work. With the rise of FaceTime, Skype, and Google Hangouts. A good quality HD Camera will enhance the experience, especially for the other parties. I also take part in live webcasts and webinars where the video may not only be viewed by many people, but it could be saved and archived for others to watch at a later time. The built-in webcam is OK at best, and if you are in marketing or sales, it is always important to produce the best results. Along with an HD Webcam, I would like to add an echo cancelling microphone headset. It can be annoying to be speaking with a person who has a low quality one, or even worse, no headset! All you get is echo, feedback, and a lot of white noise. Also, you may find yourself straining to hear the other person due to the low quality speakers. With the proper workstation in place, a comfortable chair is a MUST. Just imagine driving a sports car sitting on a wooden stool? How long do you think you can drive that dream car? Need I say more? 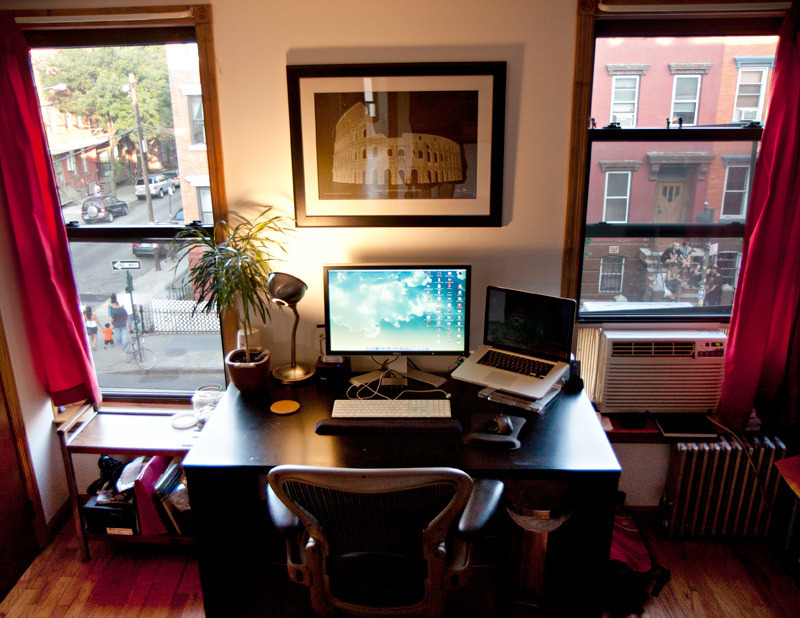 I would love to hear what are your essential home office things?